Outdoor seating at Cultivar, one of many local restaurants to close in recent months. Sometimes it seems as if all of Boston’s restaurants are closing. L’Espalier, home of the extravagant tasting menu and one of the best cheese carts in town. Durgin-Park in Faneuil Hall, a bastion of Yankee cooking for nearly 200 years. Erbaluce, named the best Italian restaurant of 2018 by Boston magazine. Cultivar, which brought a farm-to-table sensibility to a downtown hotel. The announcements land one after another, a series of gut punches to those who care about dining and the health of small business in this town. Why are all these restaurants closing? Why now? Of course, there are the obvious factors: Rents are high and climbing, tastes are fickle, the business is an all-consuming grind. But the truth is that every closing is different, with its own special stew of never-entirely-knowable factors. Each restaurant has its own story. In the case of L’Espalier, in late December chef-owner Frank McClelland told the Globe he was closing after 30 years of ownership because “the lease is up, and I don’t really have the desire to continue to do this and renew.” He was working on something new, he said. With Durgin-Park, a changing dining market and a shifting business strategy were the deciding factors. Michael Weinstein, chief executive of parent company Ark Restaurants, cited a host of reasons: an increase in the minimum wage, insurance premiums, and other operating costs; Faneuil Hall’s diminished appeal for locals vs. the Seaport’s increased pull; the rise of home delivery and meal kits; changing tastes; the inability to raise prices enough to balance the equation. “This is painful to close it,” Weinstein said. “We have people who were working there forever. We probably did a lousy job of managing it. We were under the impression that people did not want it to change.” Attempts to update the menu upset the core clientele without attracting new customers, he said. And then there were the shareholders to think of. This closing is a tale of development. Draghi and partner Joan Johnson opened the Bay Village restaurant in 2008 with a 10-year lease and the intention of buying the building. But the economy crashed, and they never quite got a down payment together. In the meantime, 20-story towers began to rise among the brick rowhouses of Boston’s smallest neighborhood. The new owner of Erbaluce’s building is redeveloping it into condos. Construction would have put the restaurant out of commission for two years, Draghi estimated, and they would have had to hand back their city-issued beer and wine license. “If we wanted to come back, we would have to get a full liquor license for half a million bucks, and we can’t afford that.” Then, too, rent was likely going up, and the function space that helped Erbaluce get through slower periods was being eliminated. Different closings, different stories. But what these restaurants all have in common is the market in which they operate. Part of the problem is Boston itself. In 2019, the city isn’t always hospitable to small, independent restaurants. In fact, the number of restaurants closing isn’t that different than usual. It’s the type of restaurants that is changing, says Tom Clark, president of restaurant development and construction company Ashling. Now the places closing are ones everyone has heard of. “Maybe it’s the high end’s turn,” he says. Rent is a major factor. Michael Staub, restaurant-development consultant and principal of Group M Inc., said if rents continue to increase at a minimum of 3 percent a year, but business revenues do not, then it can be hard to impossible for a restaurant to keep up. There is also a labor shortage in restaurants across the country, driven in part by low unemployment. 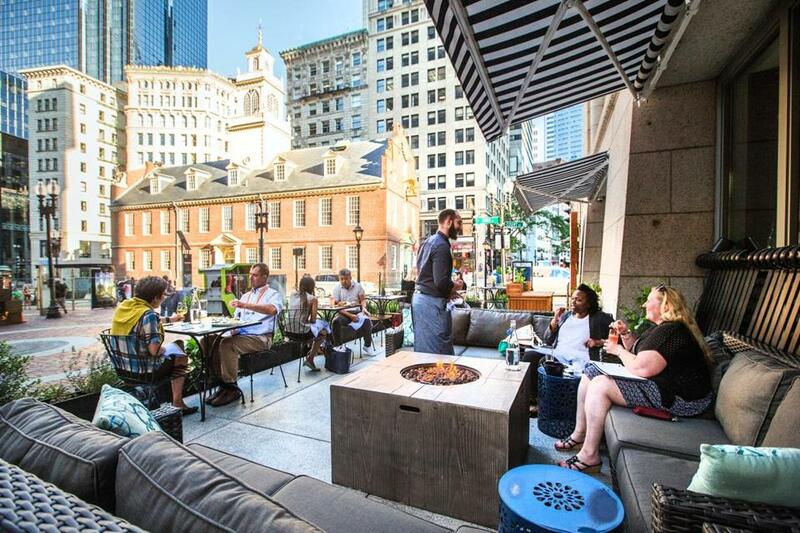 In Boston, the problem is exacerbated by the sheer number of restaurants, and the rate at which they are multiplying: In the Seaport alone, 59 new places opened in the last five years, according to Luz of the Massachusetts Restaurant Association. Keeping restaurants adequately staffed is a constant struggle for operators. Minimum wage is going up, an oft-cited burden: from the current $12 an hour to $15 by 2023, and from $4.35 to $6.75 for tipped employees. In reality, Luz said, most restaurant employees already make more than the minimum. Restaurateurs and workers tend to use the number as a gauge: If it goes up $1, pay should too. “Over a nine-year period, minimum wage will have gone from $8 an hour to $15 an hour, when all is said and done. That’s nearly double,” Luz said. In a full-service restaurant, most employees are tipped. “The entire business plan for restaurants is built on two-thirds of the staff working at subminimum wage, and they are the highest earners.” At a more casual place, they might make $25 an hour, up to $50 an hour in higher-end restaurants, he said: “That wage has gone up 157 percent in that same time frame.” There are other new costs, too, associated with medical care, sick leave, and family leave. Blame it on the Internet. Developers keep building, and they can’t anchor their projects with Tower Records or Borders or other retailers digital commerce has killed off. But we still can’t get restaurant meals via Amazon — at least not yet. (Cue the drones.) Each office or condo construction project brings with it more places to eat. There are plenty of other factors at work: politics, tourism, changing tastes. All is far from gloom and doom. Nationally, the industry saw its eighth consecutive month of growth, with same-store sales up 2 percent in January, according to TDn2K, which tracks the service industry. Luz pointed out that the average person continues to spend more to eat out than in: In the mid-’70s, Americans spent 24 cents of every food dollar outside the home. Today that number is up to 52 cents.